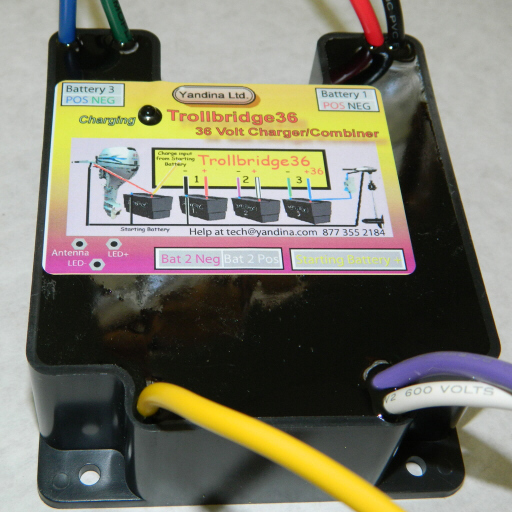 The Trollbridge36® Combiner allows you to charge your 36 volt trolling motor battery from the 12 volt alternator on your main engine, a single output charger. or trailer hook-up. It works by putting three 12 volt batteries in series when you need to run the trolling motor and in parallel for charging. 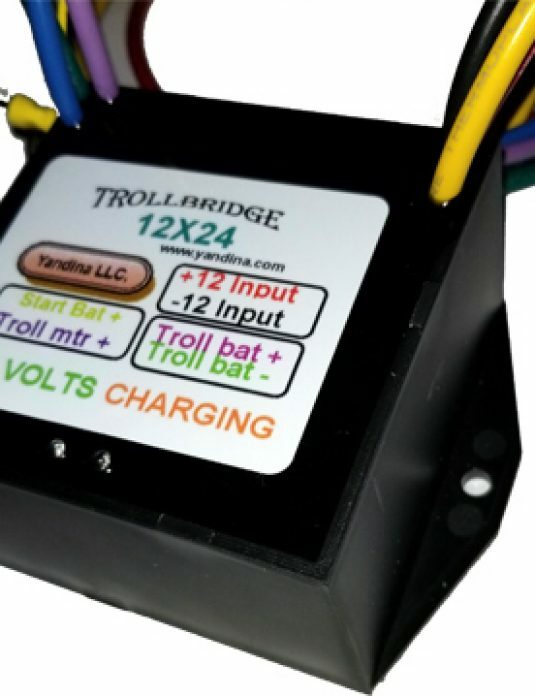 It has a built in Combiner function so the trolling batteries will never steal power from your starting battery. 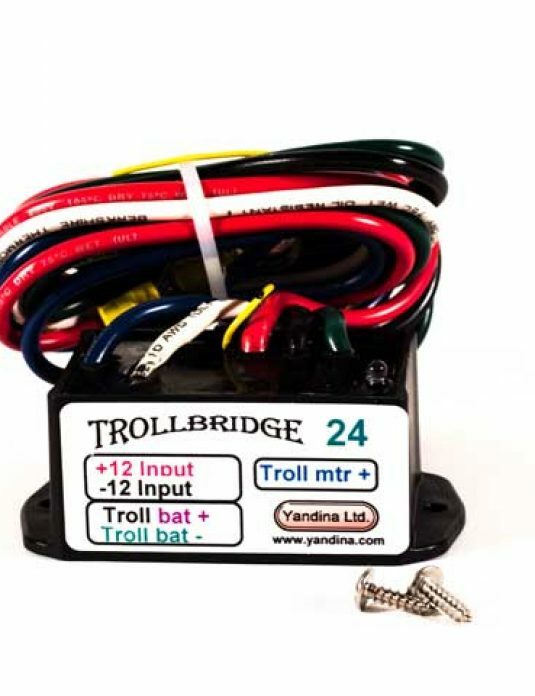 The Trollbridge36 is suitable for installations with alternators up to 100 amps and a 36 volt trolling motor up to 85 amps. Click to download and view the owner’s instruction manual using the Acrobat viewer. 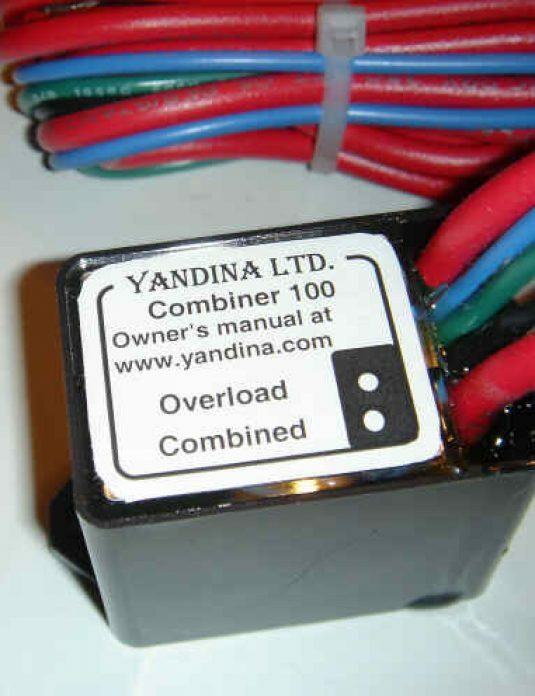 (Two pages with wiring diagrams). 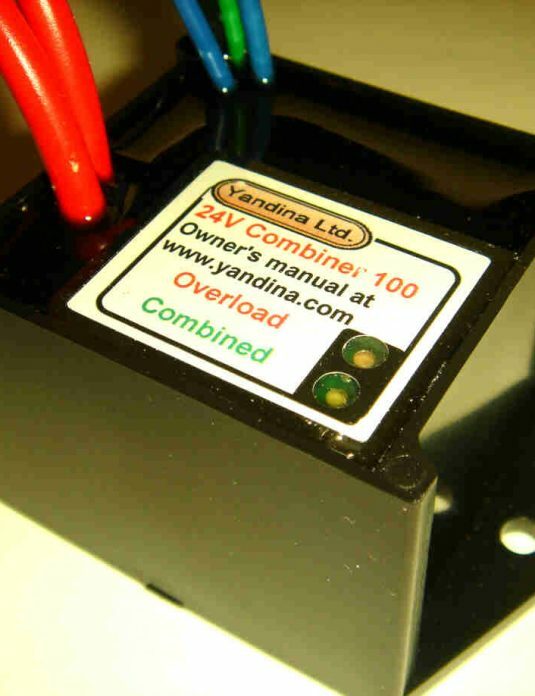 Compatible with THREE or FOUR battery systems.